The GST launch event will start at 11 pm today and extend into the midnight. New Delhi: It will be a starry midnight in the historic Central Hall of Parliament today at the launch of India's most sweeping tax reform, the Goods and Services Tax or GST. Unlike the last midnight event held in 1997 to mark the golden jubilee of Independence at a special session of Parliament, it will be a gala event at the circular-shaped hall that has been loaned for the launch of the historic reform. 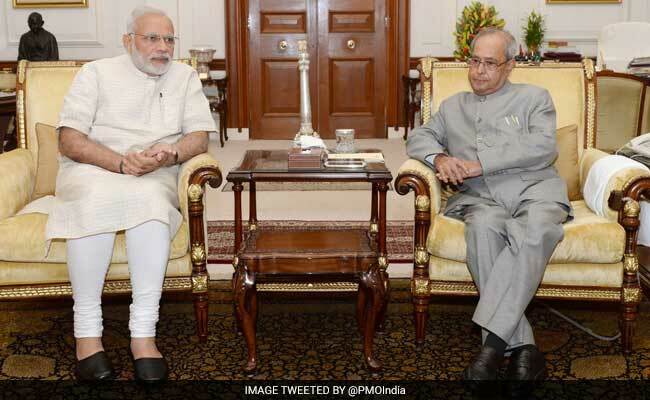 Both President Pranab Mukherjee and Prime Minister Narendra Modi will be present at the event. Former Prime Minister HD Deva Gowda too will attend the launch the new taxation system that is set to dramatically re-shape the over USD 2 trillion economy. The Congress has, however, decided to boycott the event to protest against the alleged hardship being caused to small and medium enterprises and traders. The Left and Trinamool Congress too are boycotting the event. The launch event will start at 11 pm today and extend into the midnight, coinciding with the rollout of the Goods and Services Tax (GST) regime, official sources said. Lok Sabha Speaker Sumitra Mahajan and Vice President Hamid Ansari will also be on the dias along with the President, PM Modi and former prime ministers. Megastar Amitabh Bachchan, business tycoon Ratan Tata, legendary singer Lata Mangeshkar will be among the attendees, which also includes BJP president Amit Shah and former finance minister Yashwant Sinha. Former Punjab chief minister Prakash Singh Badal and National Conference leader Abdul Rahim Rather too have been invited. Former GST Council chairman Sushil Kumar Modi, former finance ministers of West Bengal and Kerala Asim Dasgupta and KK Mani too have been invited. RBI Governor Urjit Patel and his predecessors Bimal Jalan, YV Reddy and D Subbaroa too figure in the list. However, former RBI Governor Raghuram Rajan is not on the list. TN Chaturvedi, CVC KV Chowdary, three Election Commissioners including CEC Nasim Zaidi, Niti Aayog vice chairman Arvind Panagariya, Metro man E Sreedharan, editor S Gurumurthy, agriculture scientist M S Swaminathan, UPSC Chairman David R Syiemlieh, CBEC chairman Vanaja N Sarna and CBDT chairman Sushil Chandra have also been invited. Senior lawyers Soli Sorabjee, KK Venugopal and Harish Salve as also heads of industry chambers - Pankaj Patel of Ficci, Shobana Kamineni of CII and Sunil Kanoria of Assocham too are on the list of invitees. Sources said Parliamentary Affairs Minister Ananth Kumar has written a letter to all Lok Sabha and Rajya Sabha MPs requesting for their presence. Members of GST Council too have been invited. A gong will be sounded at midnight to signify that GST has arrived. The GST Bill was originally piloted by Pranab Mukherjee when he was the Finance Minister in the previous UPA regime. The GST Council, that brings together the central and state governments, has met 17 times to thrash out how the tax will work. Originally, the launch of GST which had been in the works for over a decade, was to be done from Vigyan Bhawan - the largest convention centre in the national capital that has hosted majority of the meetings of the GST Council. But the historic Central Hall was thought to be a better choice considering the importance of the new indirect tax code that unifies more than a dozen separate levies to create a single market with a population greater than the US, Europe, Brazil, Mexico and Japan put together. It is expected to gradually re-shape India's business landscape, making the world's fastest-growing major economy an easier place to do business. GST has been dubbed as the most significant economic reform since BJP government came to power in 2014 and is expected to add as much as 2 percentage points to the GDP growth rate besides raising government revenues by widening the tax net. A four-rate structure that exempts or imposes a low rate of tax of 5 per cent on essential items and top rate of 28 per cent on cars and consumer durables has been finalised. The other slabs of tax are 12 and 18 per cent.